The first time that I went to the Lake Apopka Wildlife Drive, I called my mom and said, “This place is the new Circle B!” Two years later, and I’m still loving it. Especially in the summertime, when the sunrises are early and the mornings are hot. Birding close to home from the convenience of your air-conditioned car is awesome! 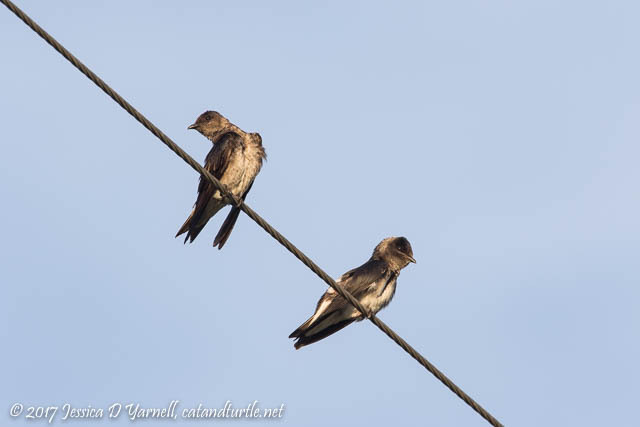 I saw these Purple Martins on the power lines on Lust Road in mid-July. The martins, like the stilts and the kites, are pretty much done nesting and starting to think about heading home for winter. 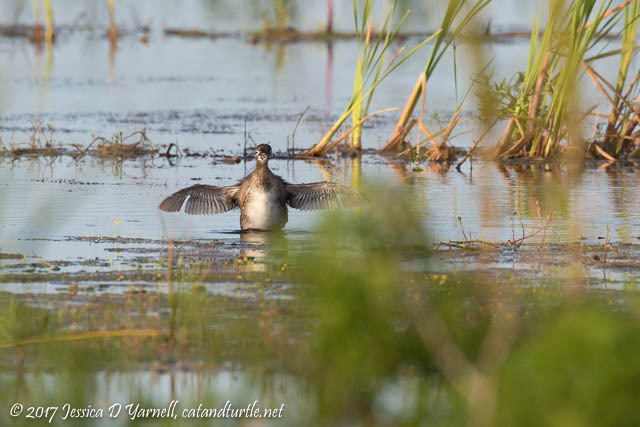 Smart birds – they choose to avoid the long hot months of August and September! I spotted this Pied-billed Grebe on the south side of Lust Road. It was far enough from Grebe Corner to make me think it belonged to a different nest than the first family I observed. It proudly showed off its new feathers as it flapped its wings. 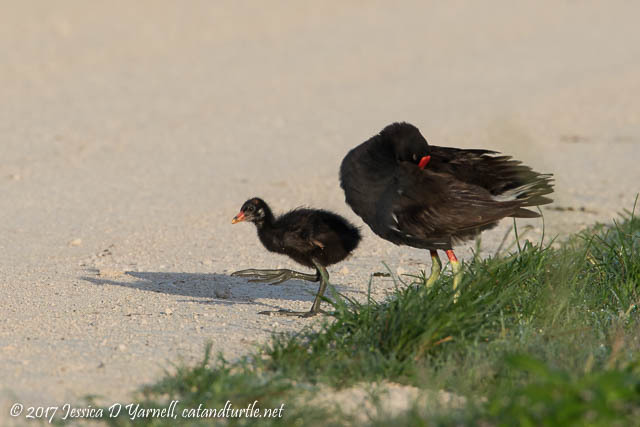 I love it when I get to see a baby Common Gallinule on land. They have such big feet! 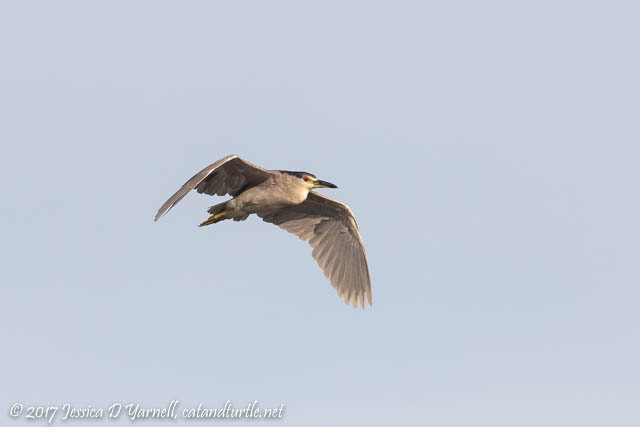 This adult Black-crowned Night Heron was doing flybys over the pond near the pump house. He’s very striking with his bright red eye. 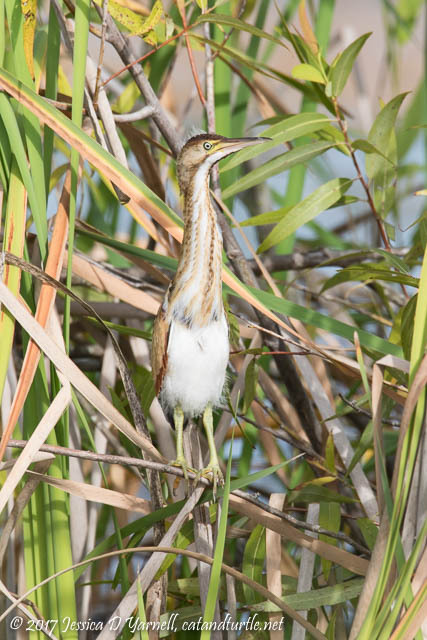 Juvenile Least Bitterns seem to be popping up everywhere around the drive. You can tell this guy is a juvie because of his white downy patch on his head. He stood tall and straight among the reeds. Nature’s camouflage is really amazing. 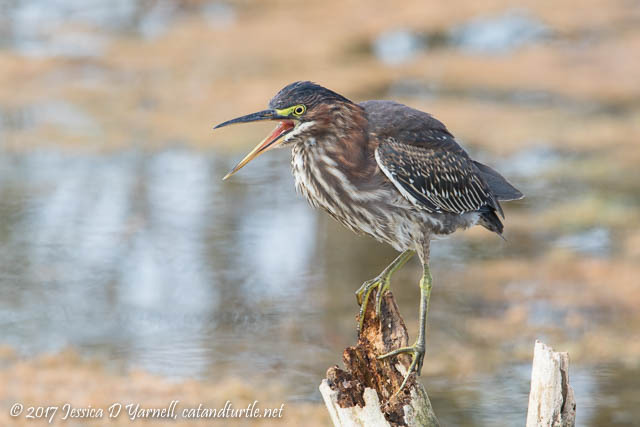 I’ve been following this family of Green Herons off Roach Road for a couple of weeks. The juveniles have been getting more and more independent, and I think this was the last time I saw a juvie before they left the safety of their nesting zone. He was fishing and paused to yawn. I’ve never seen a baby Gallinule’s feet before… WOW. That’s so weird! Cute little bugger, though. I know, I love my cute little aliens! Take a look at this post where you can see the feet even better!